Sunday November 7th, 2004…11 a.m…while driving west on I-30 east of Texarkana, AR…at 593,074 miles…I overheated my engine (due to an idler pulley failing and the serpentine belt falling off). When I opened the hood…to my disbelief… the anti-freeze was boiling and the engine was cracking and popping like the sound of dropping a piece of chicken into one of those deep fryers. I thought to myself…you have just ruined your engine…I’ve never seen anything get this hot without cracking a head or block. After being towed 54 miles to Texarkana, AR…to an auto parts store…I replaced the serpentine belt with a shorter one…because no one had an idler pulley. I added over a gallon of distilled water to the radiator…said a prayer and started the engine. I could not believe what I heard… the engine idled as if nothing had happened…smooth…no knocking…no tapping. I’m underneath my van looking for oil leaks…anti-freeze leaks. I’m thinking this can’t be…how could this engine survive the severe overheating…and still run smoothly? That engine went on to run another 337,525 miles… until a valve keeper wore out causing a valve to stick at 930,599 miles. I sincerely believe had I not over heated the engine…it would still be in operation today. If you click here… “Prove The 999,999 Miles” … you’ll get a sneak peak at the inside of my engine. By now…I should have erased any doubt in your mind that you can drive around the world…almost 25,000 miles…without changing your oil! If you could drive an entire year or 25,000 miles without changing your oil…why wouldn’t you? Installing Amsoil products throughout your vehicle…Is almost like purchasing a lifetime warranty for your engine and transmission. I’ve proven that Amsoil synthetic oils may take your vehicles engine and transmission well over 900,000 miles…what an incredible insurance policy on your engine and transmission! The beauty of the 25,000 mile oil change is…if I’m out on the road away from home…and I notice the oil needs changed…you don’t have to worry about stopping into some fast lube shop or store…that may not tighten your oil plug securely…or install the right oil filter or put the right amount of oil in the engine. You can drive with confidence…back to your home town and have your vehicle serviced at your local dealer…or lube shop…and know that your oil and filter are still doing their job. How can I say that? I’ve done it many times. I’ve driven my 99 Chevy Van over 1,000,000 miles…and many times I’ve gone over the 25,000 mile mark. And the reason I had plenty of confidence in running over my “oil change”… and not worrying about it…on my first oil change with Amsoil I caught a sample of my oil and sent it into the lab at Amsoil to have it analyzed. They told me I could go another 10,000 to 15,000 miles on the oil…just change the oil filter!!! I’ve personally logged over 1 million miles with one vehicle changing the engine oil and filter every 25,000 miles and the transmission oil and filter every 150,000 miles. I spent 10 years of over the road documenting and testing the Amsoil products. I kept a detailed record of the servicing and maintenance of my 99 Chevy van. The reason I was so picky about keeping all these stats…I was on a mission…a mission to see if the Amsoil products would live up to the hype of a 25,000 mile oil change. 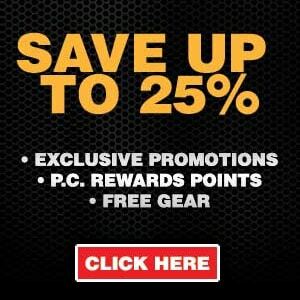 The reason I’m so passionate about sharing with everyone about the results I’ve gotten with the Amsoil products…they put an extra $2000 a year in my pocket in fuel and oil change savings. (That’s 100,000 miles a year over the road). 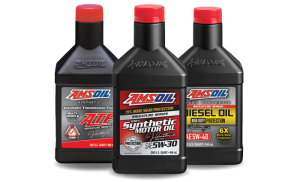 If you use your vehicle to earn a living or just drive to and from work…installing Amsoil products throughout your vehicles engine and drive train will not only make your vehicle almost immortal….it will give you a fatter wallet and peace of mind.